Roughly two dozen Egyptians opposed to President Abdel Fattah El-Sisi, some with Muslim Brotherhood connections, signed a declaration last week in Washington endorsing a civil constitution that separates mosque and state. Three of the declaration's points involve prosecuting current Egyptian officials. Sisi, a former general, assumed power in July 2013 after his military forces ousted Egyptian President Mohamed Morsi, who led the Muslim Brotherhood's political party. Sisi was elected president with an overwhelming 96 percent of the vote in 2014. In a Facebook post, one participant explained the statement was issued from Washington after "all other places rejected the meeting." The fourth point of their 10-point "Washington Initiative" endorses the creation of a civil state. It calls for "[d]rafting a civil constitution which expressly stipulates no state interference in religious institutions or vice versa, and no military intervention in the political process. It will establish rights and freedoms according to the basis of international human rights declarations and global covenants." Many of these positions are inconsistent with the Brotherhood's policies during its year in power. Muslim Brotherhood leaders had promised to bring about democratic reforms once in office. Instead, they resorted to the same sort of repression found during Hosni Mubarak's nearly 30-year reign. This became clear after Morsi asserted emergency powers in November 2012. "It was clear from President Morsi's first day in office that his program for the first 100 days of his term paid little attention to addressing human rights issues and realizing Egyptians' aspirations for democratization," the Cairo Institute for Human Rights said in a new report issued in June. Military trials for civilians continued under Muslim Brotherhood rule and accusations of defamation of religion frequently were used to stifle freedom of expression, the institute reported. Press freedom also suffered during Morsi's presidency. The delegation in Washington last week included Abdul Mawgoud Dardery, foreign affairs chairman for the Muslim Brotherhood's banned Freedom and Justice Party, and a frequent participant in pro-Brotherhood lobbying efforts in the nation's capital. "The issue of the separation of religion from politics is a church issue and it does not apply to Islam," Dardery said in a Feb. 15, 2014 speech he gave at the Islamic Society of Milwaukee, and translated by the Investigative Project on Terrorism. "Democracy is the rule of people [for] the people by the people within the limit of what God allows. Islam is a choice, is a contract between me and God." 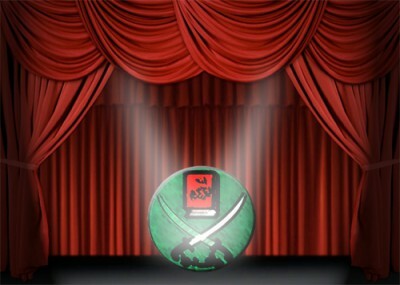 Dardery's statement at the Islamic Society of Milwaukee more closely resembles the International Muslim Brotherhood's bylaws, which ultimately envisions an Islamic state. "The need to work on establishing the Islamic State, which seeks to effectively implement the provisions of Islam and its teachings. Defend the nation against the internal enemies, try to present the true teachings of Islam and communicate its ideas to the world," Article 2, Paragraph E of the bylaws say. "We're not calling for a religious law, we're not calling for a theocracy; we're standing against theocracy, period. What we are calling for is a democracy that can bring the liberals, the leftists, the nationalists, or the Muslim Brotherhood, because they're all equal," Dardery told a University of California, Berkeley audience. The 2012 Egyptian constitution drafted under Morsi's rule had created a civil state but made laws subject to review by Al-Azhar University, Sunni Islam's most important institution. Amnesty International faulted the Muslim Brotherhood's last attempt to write a constitution for blocking women's path to full equality and failing to protect minorities. "It is therefore no wonder that the constitution, drafted solely by political Islamists, further entrenches both political and religious despotism and paves the way for a Sunni theocracy similar to the Iranian model," the Cairo Institute for Human Rights wrote. "All the [people in] attendance are members of the MB disguised under different banners. I know several of them and definitely they don't speak for [a] civil state and did not support the creation of a civil state in 2011. [Their] insistence on Jan 25th as the official revolution gives away their motive. They don't want to acknowledge June 30th as a Revolution since it was against the MB," Meunier said in an email. The declaration had more to do with persuading American policymakers to support the Muslim Brotherhood against the Egyptian government, Meunier said. The Brotherhood used similar rhetoric before it came to power in Egypt but failed to deliver after Morsi's inauguration. "They love playing under different umbrellas," Meunier said. "They say one thing in English and another in Arabic." Dardery's contradictory statements support Meunier's point that Muslim Brotherhood members vary their message depending on their audience. Egypt's Youm 7 newspaper identified other Brotherhood-linked figures who participated in the recent conference. In addition to Dardery, participants included former Morsi adviser Seif El-Din Abdel Fattah; Ayman Nour, head of the Muslim Brotherhood's Sharq Channel; Muhammad Mahsoub of the Wasat Party; and Brotherhood analyst Essam Hajji. The declaration triggered "earthquakes inside the Brotherhood camp" after its signing, Youm 7 reported. "Media reports announcing the outcome of the 'dialogue' workshop held recently in Washington, attended by some political activists, also claimed representatives of the Muslim Brotherhood were present. This is not true. The group had no knowledge of anyone representing it in that workshop," Muslim Brotherhood spokesman Talat Fahmy said in a statement posted on the Brotherhood's own website, Ikhwanweb. "The Muslim Brotherhood reiterates that any views, opinion, stances or attitudes attributed to it must be so expressed through its own institutions and spokespersons." Other Islamists denounced the document as a "farce" because it does not recognize the Islamic nature of Egypt.